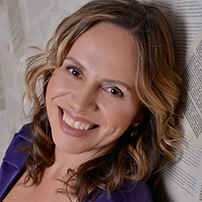 She is the founder of Sapovalova Coaching, cofounder of Latam Tech UK, member of Tech London Advocates and Co-leader for TLA LatAm, former Huffington Post Spanish blogger and author of ‘10 days, 10 actions, 10 times more productive’ published in English and Spanish. She has written for various magazines and international publications. She has also been a judge in several technology competitions and she is the official Coach for Latam Edge and Brazil Tech Awards.